Put Sunday 28th April in your diary, as an important date not to be missed. 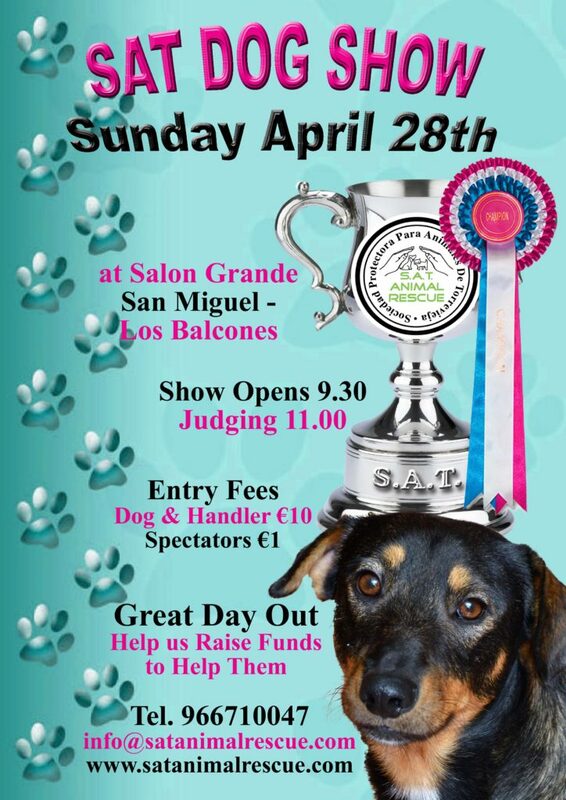 This is the date of our Fun dog show at Salon Grande, Los Balcones and we would love for all our friends to come. It is always an enjoyable day and we love to see our ex residents but it’s not a show for just SAT dogs, all our four legged friends are welcome. So tell all your friends and we look forward to seeing you there.